In the four years since Vampire Weekend released Vampires of the City, the band’s members have been focusing on their solo endeavors. Drummer Chris Tomson brought forth his personal project Dams of the West earlier this year, and, of course, leader Ezra Koenig has been moonlighting in various projects and scored a writing credit on Beyonce’s Lemonade. For bassist Chris Baio, though, going solo has meant experimenting more with his DJ project, Baio. In 2015 he released his debut album, The Names, which saw Baio masterfully mix thumping electronic beats with thoughtful lyrics and infectious vocal melodies. His sophomore effort, Man of the World, follows his initial vision vocally, but musically he’s traded in his laptop for more real instruments. Upon first listen it’s easy to miss the bleeps and bloops of The Names, but it’s clear why Baio made these particular musical choices. The album is a reflection of the tumultuous year that was 2016, beginning with the death of his favorite artist: David Bowie. The Thin White Duke’s spirit can be heard throughout the record, and most distinctly in lead single, “PHILOSOPHY!”. A funky guitar riff noodles its way through pounding drums and scaling horns before Baio’s frenetic vocals kick in, chronicling a doomed relationship and realization that sometimes philosophizing is not enough to change someone’s mind. The events that unfolded after that sad day in January just perpetuated Baio’s stress. The musician currently calls London home and was traveling to Berlin the day the Brexit results came in. “It was surreal to de-board the plane and walk through EU passport control. I felt like I was living in history,” he says in a statement. “But I felt, more than that, a very specific emotion: a deep anxiety about the direction the world was heading in. That feeling never fully went away” especially with the results of the U.S. election. Baio turned to music to relieve his frustration with the state of the world. Behind all the horns and groovy bass lines, the vivid guitar hooks and sharp synths, is a man scared to death about the current political climate, not just in America but internationally. Man of the World begins with “Vin Mariani,” titled after a drink popular in the later 19th century made of red wine and cocaine. Whirling synths and pulsating percussion imitate the effect a drink like this could have on one’s body while Baio assures “This time’ll be different / I know change is what I need / I’m prepared to follow anybody’s lead.” It’s a song about how intoxicating and addicting the thought of political change is, but as he sings in the chorus, “Learning to live with a decision / When it’s not the one I would have made / Learning to live with a decision / When the consequence is rather grave,” change isn’t always for the best. The flip side of this feeling is illustrated in “Out of Tune,” a song told by the person who is empowered by that intoxication (can you guess who’s perspective it’s in?). In the chorus, Baio sings “Every single second of every single day / I was out of tune when I thought I sounded great / You were off the beat so I knew that it was fate / A little bit of love to fuel all of the hate,” and even amidst sparkling horns and drum machines the disdain is clear. Man of the World moves to introspection with its second single, “DANGEROUS ANIMAL,” a dark, ominous track. The crunching, percussive intro builds up the unease of the song for the first minute, creating a framework for Baio to wrestle with his contempt for global warming deniers and feelings of hypocrisy as he tours the world and eats meat, thus personally contributing to climate change. 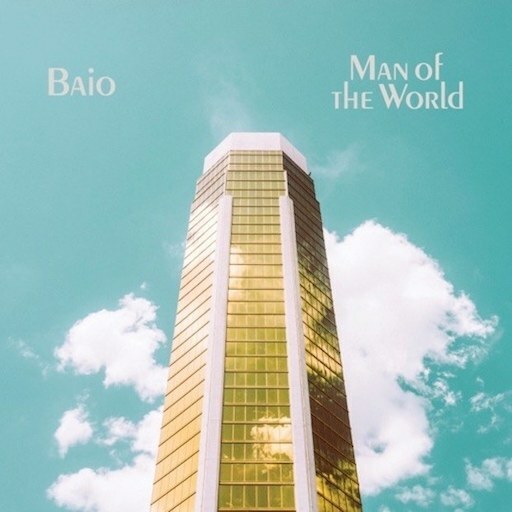 Man of the World may be missing the danceable spirit of Baio’s earlier work, but it’s the album we need in 2017: a juxtaposition of hopeful music and apprehensive lyrics, vocalizing concerns many of us are feeling but few can so masterfully articulate.